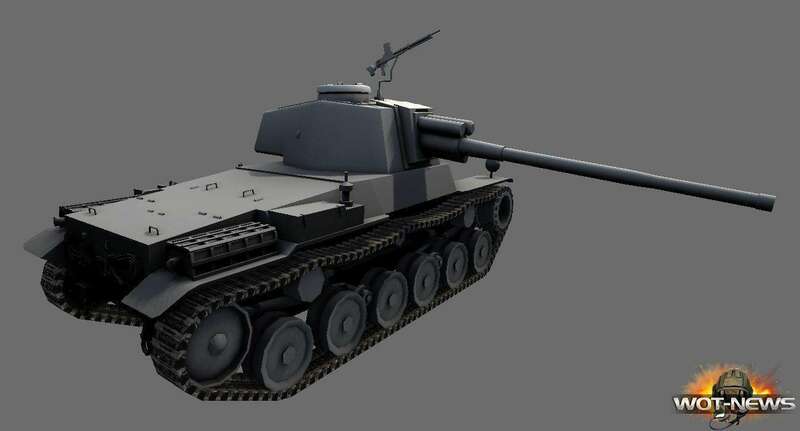 looks like the 8.9 (edit: it has been confirmed it will most likely appear in the 8.8 patch for supertesters and in 8.9 for public) patch will bring a new tier 5 (confirmed) premium tank, the Japanese Chi-Nu Kai (improved)! For now – no textures. not too glassy, some parts seem to have a rather decent slope (70°), so it would end up as effectively (+/-) 146mm on the glacis, practically auto-bounce for any non-derp tier 5 gun. Armor values I’ve been able to find. Turret has 75mm front and 50mm sides/rear armor. I am no expert on Japanese tanks, but IIRC, Chi-Nu Kai was equipped with a long-barelled 75mm gun (possibly autoloaded?). Now judging by it’s shape I can’t figure out if it’ll be a medium or a heavy tank. Thats the tank from Anteater team in Grilz und Panzer. skinners will be going at it first. I’m guessing Jact will wait for the Japanese line, which we will probably get sooner if the Chi-Nu-Kai is well received. If not, there will probably be a skin for this for those waiting, and that means I’ll no longer have to get the T-25. The Chi-nu was a Japanese medium tank designed to deal with the M4 Sherman. It was historically armed with a 75MM. How can they bring a japanese premium tank before the introduction of Japanese tree? The same way they did with Type 59 and Type 62. Those were introduced much sooner than Chinese tree came. Same way they added the Types before the Chinese tree and the AT-15A before the British tree. How can they introduce the Matilda BP before there were any British tanks? How can they introduce Type 59 and Type 62 before there were any Chinese tanks? So it wouldn’t be the first occasion. as long as they pack it into the files they can and they will. they can also pull out things at will as well. To make some money when you want to use the crew on the coming Jap. tanks (whatever kind it is, Medium or Heavy). also, regarding its “coming in 8.8″, does that mean given to supertesters or available in shop? Yes supposed to be tested by supertester and must be in files one patch before. Check new tanks by wot tank viewer in 8.7 patch. It will not come for players in 8.8. As _Quasar_ said : It is quite unlikely to see it available for all players in 8.8. So I think “aviable for all players” is for : supertesters can normal players- can’t. Oh my god, now I want one! What gun will it have? A 75mm? Yes, more like T6, I think the source has it wrong. Got to agree, this thing is definitely not a T8. I thought the Panzer IV was a good compliment to the Sherman? A better sniper, has a derp gun, better hull, same speed, all that. Another competitor with my Panzer is always good, but as long as we take the Sherman down a few notches, that’s fine by me. Most likely. Will be one hell of a patch. It was posted by Korean community manager at Korean forum. Yes, and also by the EU community manager. It’s not a leak, it’s official WG info. This has long since been denied actually. Japanese superheavy will probably recieve a 150mm gun or something like that. The top tier arty will most likely by the 300mm Ha-To mortar tho. It will be interesting to see if the Japanese line will be decent. The brits were mostly poor and the Chinese were ok, but given the know properties of Jap tanks, they don’t sound like they will much good in WOT terms. That’s maybe right. :) I find that too. An autoloader gun on a premium tank would be a first. On a tier V medium that would be even more unique. Sadly, regular tier V medium guns fire so fast that the advantages of an autoloader are negligable in comparison (how could it possibly top the RoF of a 57mm on the T-34 (or its Chinese copy)?) But its disadvantage (long magazine reload) will remain. While the idea is intriguing, I seriously hope that thing won’t get an autoloader. Looks like a decent tank to pre-prepare a decent Japanese crew for when the Japanese tree comes. If you’re prepared to spend gold on crew retraining. Retraining to 90% isn’t all that bad. good gun, bad armour? so, it’s basically a japanese T-25. I’m getting one! I’ve literally been waiting 3 years for something like this! It looks like a tradition for WG to introduce a premium tank of an unreleased nation, before its national tech tree comes out. 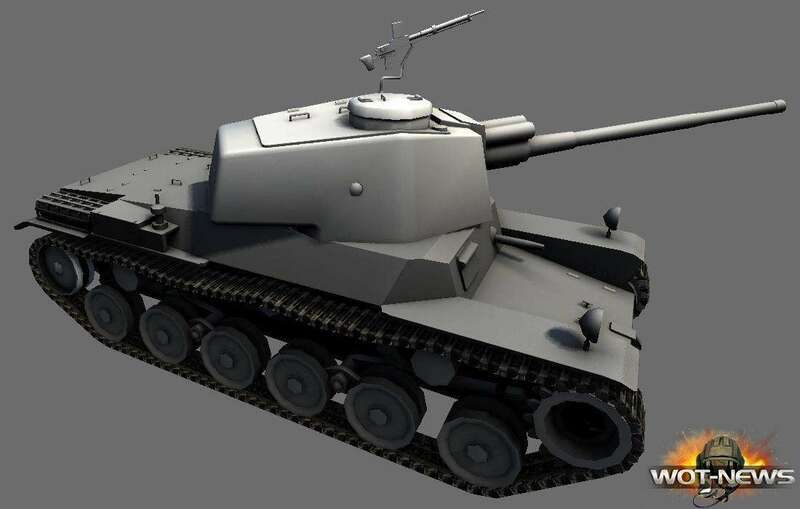 It is similar to introducing the Type 59 and Type 62 for the Chinese, before releasing the Chinese tech tree. Smells like the Japs are coming this year after all. I hope I can finish grinding all the branches (12!) I’ve started before they are released. Looks op for a premium of that tier… but that’s just me speculating based on appearance. Fine Molds FM29 Tank Type 3 “CHI-NU” Long Barreled Version. my M4 derp will have something nice to derp at. Hmm, judging by the trend(well if you can call 2 tanks a trend) it seems the Japanese tree’s thing will be glass cannon tanks with powerful high-pen guns. I’m okay with that. Don’t forget good gun depression. Here you can see the Chi-Nu Kai, just to give you an idea of how it should look like. What’s more to the point! instead of just bringing out more and more CRAP tanks like this, they should bloody well give us another 20 or so maps to fight over! because the ones we have now are getting as boring as hell! The people who make the maps are not the same people who make the tanks. first wait for the release of a japanese tech tree, then come with this…i haven’t seen news of a japanese tech tree release in patch 8.9..